As part of your vendor risk management, you should be asking many of your vendors for a SOC report, especially your critical or high risk vendors. To help guide you and your team in understanding what those differences are, we've created a simple one-page infographic. 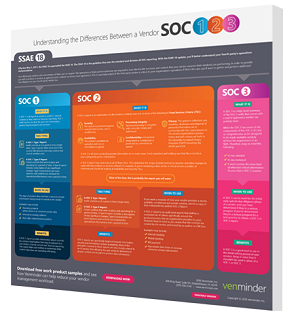 Download the infographic to learn the definitions of each type of SOC report and how they can benefit your organization.